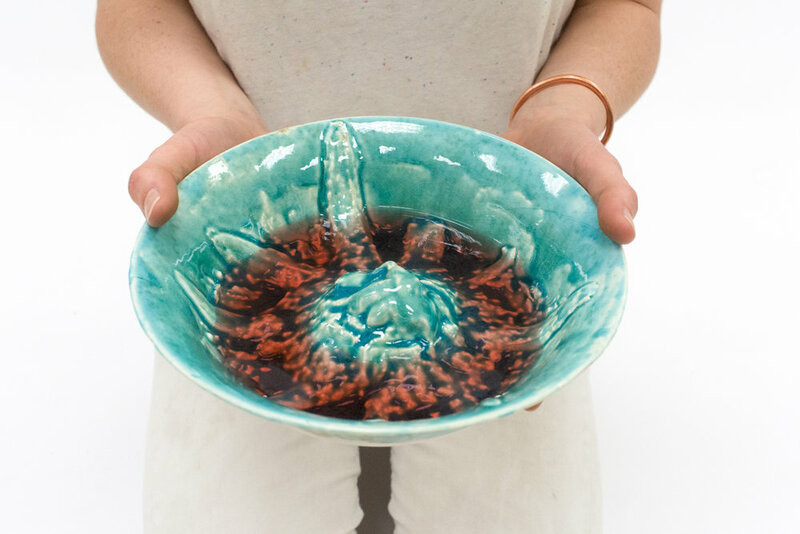 Mystery Bowl | Somehow the relief of some Cambrian creature ended up in this bowl, yuck! Unearthed at a secret dig site, its purpose has yet to be ascertained. Cone 06 with blue crackle glaze.